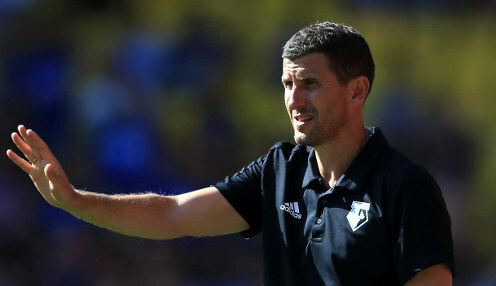 Javi Gracia hopes that he will be given the opportunity to spend a lengthy spell in charge of Watford. The 48-year-old penned an 18-month deal in January following the departure of Marco Silva and helped the club finish 14th last season. The Hornets enjoyed an excellent start to the current campaign although they did suffer a setback a fortnight ago when they were beaten 4-0 by Bournemouth at Vicarage Road. "I would like to be here more time because I am very settled here," Gracia told the club's official website. "I see my long-term future here and I can fulfil my ambitions at this club. We are talking and talks are going well. "I feel very happy here. In football, you never know what happens in the next two weeks, but I prefer to focus on the next game, to do my job, to do my best, so we'll see." The Spaniard enjoyed spells in charge of Almeria, Osasuna, Malaga and Rubin Kazan before taking charge of Watford, who have a reputation of hiring and firing new coaches on a regular basis. Before Gracia's appointment, the Hornets had had eight managers in five-and-a-half years. Watford visit Wolves this weekend and are 5.50 to win the match and 5.00 to keep a clean sheet in the encounter. Gracia's side can be backed at 1.01 to clinch a top-half spot in the Premier League this term.